Professor DeKay's research is focused on the psychology of judgment and decision making. Recent and ongoing research projects involve information distortion in risky and nonrisky decisions; risk perception; the perceived fungibility of outcomes in repeated decisions; and applications in environmental and medical decision making. 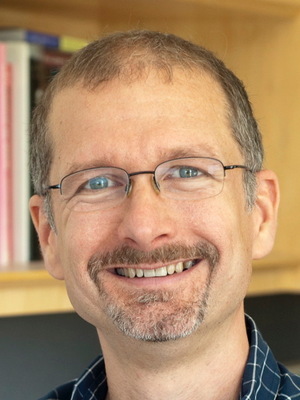 Professor DeKay holds a BS (1985) in chemistry from the California Institute of Technology, an MS (1987) in chemistry from Cornell University, and an MA (1992) and PhD (1994) in social psychology from the University of Colorado at Boulder. In 1996, he completed a two-year postdoctoral fellowship in medical decision making at the Philadelphia Veterans Affairs Medical Center and the Wharton School of the University of Pennsylvania. From 1996 to 2007, he was a faculty member at Carnegie Mellon University, in the Department of Engineering and Public Policy and in the H. John Heinz III School of Public Policy and Management. DeKay, M. L., Schley, D. R., Miller, S. A., Erford, B. M., Sun, J., Karim, M. N., & Lanyon, M. B. (2016). The persistence of common-ratio effects in multiple-play decisions. Judgment and Decision Making, 11, 361–379. DeKay, M. L. (2015). Predecisional information distortion and the self-fulfilling prophecy of early preferences in choice. Current Directions in Psychological Science, 24, 405–411. Schley, D. R., & DeKay, M. L. (2015). Cognitive accessibility in judgments of household energy consumption.Journal of Environmental Psychology, 43, 30–41. Small, M. J., Güvenç, Ü., & DeKay, M. L. (2014). When can scientific studies promote consensus among conflicting stakeholders? Risk Analysis, 34, 1978–1994. DeKay, M. L., Miller, S. A., Schley, D. R., & Erford, B. M. (2014). Proleader and antitrailer information distortion and their effects on choice and postchoice memory. Organizational Behavior and Human Decision Processes, 125,134–150. Miller, S. A., DeKay, M. L., Stone, E. R, & Sorenson, C. M. (2013). Assessing the sensitivity of information distortion to four potential influences in studies of risky choice. Judgment and Decision Making, 8, 662–677. DeKay, M. L., Stone, E. R., & Sorenson, C. M. (2012). Sizing up information distortion: Quantifying its effect on the subjective values of choice options. Psychonomic Bulletin & Review, 19, 349–356. DeKay, M. L., Stone, E. R., & Miller, S. A. (2011). Leader-driven distortion of probability and payoff information affects choices between risky prospects. Journal of Behavioral Decision Making, 24, 394-411. Xu, J., Florig, H. K., & DeKay, M. L. (2011). Evaluating an analytic-deliberative risk-ranking process in a Chinese context. Journal of Risk Research, 14, 899-918. DeKay, M. L. (2011). Are medical outcomes fungible? A survey of voters, medical administrators, and physicians. Medical Decision Making, 31, 338-353. Attari, S. Z., DeKay, M. L., Davidson, C. I., & Bruine de Bruin, W. (2011). Reply to Frederick et al. : Anchoring effects on energy perceptions [Invited letter]. Proceedings of the National Academy of Sciences of the United States of America, 108, E24. Attari, S. Z., DeKay, M. L., Davidson, C. I., & Bruine de Bruin, W. (2011). Changing household behaviors to curb climate change: How hard can it be? Sustainability: The Journal of Record, 4, 9-11. Attari, S.Z., DeKay, M.L., Davidson, C.I., & Bruine de Bruin, W. (2010). Public perceptions of energy consumption and savings. Proceedings of the National Academy of Sciences of the United States of America, 107, 16054-16059. DeKay, M. L., Patino-Echeverri, D., & Fischbeck, P. S. (2009). Better safe than sorry: Precautionary reasoning and implied dominance in risky decisions. Journal of Behavioral Decision Making, 22, 338-361. DeKay, M. L. (2009). Physicians' anticipated regret and diagnostic testing: Comment on Hozo & Djulbegovic, 2008. Medical Decision Making, 29, 317-319. DeKay, M.L., Patino-Echeverri, D., & Fischbeck, P.S. (2009). Distortion of probability and outcome information in risky decisions. Organizational Behavior and Human Decision Processes, 109, 79-92. Attari, S., Schoen, M., Davidson, C., DeKay, M. L., Bruine de Bruin, W., Dawes, R., & Small, M. (2009). Preferences for change: Do individuals prefer voluntary action, soft regulations, or hard regulations to decrease fossil fuel consumption? Ecological Economics, 68, 1701-1710. Willis, H. H., & DeKay, M. L. (2007). The roles of group membership, beliefs, and norms in ecological risk perception. Risk Analysis, 27, 1365-1380. Bronfman, N. C., Cifuentes, L. A., DeKay, M. L., & Willis, H. H. (2007). Accounting for variation in the explanatory power of the psychometric paradigm: The effects of aggregation and focus. Journal of Risk Research, 10, 527-554. DeKay, M. L., Hershey, J. C., Spranca, M. D., Ubel, P. A., & Asch, D. A. (2006). Are medical treatments for individuals and groups like single-play and multiple-play gambles? Judgment and Decision Making, 1, 134-145. DeKay, M. L., & Kim, T. G. (2005). When things don't add up: The role of perceived fungibility in repeated-play decisions. Psychological Science, 16, 667-672. Willis, H. H., DeKay, M. L., Fischhoff, B., & Morgan, M. G. (2005). Aggregate, disaggregate, and hybrid analyses of ecological risk perceptions. Risk Analysis, 25, 405-428. Willis, H. H., DeKay, M. L., Morgan, M. G., Florig, H. K., & Fischbeck, P. S. (2004). Ecological risk ranking: Development and evaluation of a method for improving public participation in environmental decision making.Risk Analysis, 24, 363-378. DeKay, M. L., Small, M. J., Fischbeck, P. S., Farrow, R. S., Cullen, A., Kadane, J. B., Lave, L. B., Morgan, M. G., & Takemura, K. (2002). Risk-based decision analysis in support of precautionary policies. Journal of Risk Research, 5, 391-417. DeKay, M. L., Greeno, C. G., & Houck, P. R. (2002). Searching for a two-factor model of marriage duration: Commentary on Gottman and Levenson. Family Process, 41, 97-103. Florig, H. K., Morgan, M. G., Morgan, K. M., Jenni, K. E, Fischhoff, B., Fischbeck, P. S., & DeKay, M. L. (2001). A deliberative method for ranking risks (I): Overview and test bed development. Risk Analysis, 21, 913-921. Morgan, K. M., DeKay, M. L., Fischbeck, P. S., Fischhoff, B., Morgan, M. G., & Florig, H. K. (2001). A deliberative method for ranking risks (II): Evaluation of validity and agreement among risk managers. Risk Analysis, 21, 923-937. Morgan, M. G., Florig, H. K., DeKay, M. L., & Fischbeck, P. S. (2000). Categorizing risks for risk ranking. Risk Analysis, 20, 49-58. DeKay, M. L., Nickerson, C. A. E., Ubel, P. A., Hershey, J. C., Spranca, M. D., & Asch, D. A. (2000). Further explorations of medical decisions for individuals and groups. Medical Decision Making, 20, 39-44. Ubel, P. A., Spranca, M. D., DeKay, M. L., Hershey, J. C., & Asch, D. A. (1998). Public preferences for prevention versus cure: What if an ounce of prevention is worth only an ounce of cure? Medical Decision Making, 18, 141-148. Asch, D. A., Hershey, J. C., DeKay, M. L., Pauly, M. V., Patton, J. P., Jedrziewski, M. K., Frei, F., Giardine, R., Kant, J. A., & Mennuti, M. T. (1998). Carrier screening for cystic fibrosis: Costs and clinical outcomes. Medical Decision Making, 18, 202-212. DeKay, M. L., & Asch, D. A. (1998). Is the defensive use of diagnostic tests good for patients, or bad? Medical Decision Making, 18, 19-28. DeKay, M. L., & Asch, D. A. (1998). Offensive testing-the balancing act, the evil twin, and the pure play. Medical Decision Making, 18, 35-36. Asch, D. A., & DeKay, M. L. (1997). Euthanasia among U.S. critical care nurses: Practices, attitudes, and social and professional correlates. Medical Care, 35, 890-900. Ubel, P. A., DeKay, M. L., Baron, J., & Asch, D. A. (1996). Public preferences for efficiency and racial equity in kidney transplant allocation decisions. Transplantation Proceedings, 28, 2997-3002. DeKay, M. L. (1996). The difference between Blackstone-like error ratios and probabilistic standards of proof. Law & Social Inquiry, 21, 95-132. Ubel, P. A., DeKay, M. L., Baron, J., & Asch, D. A. (1996). Cost-effectiveness analysis in a setting of budget constraints: Is it equitable? New England Journal of Medicine, 334, 1174-1177. DeKay, M. L., & McClelland, G. H. (1996). Probability and utility components of endangered species preservation programs. Journal of Experimental Psychology: Applied, 2, 60-83. MA and PhD in social psychology from the University of Colorado at Boulder.